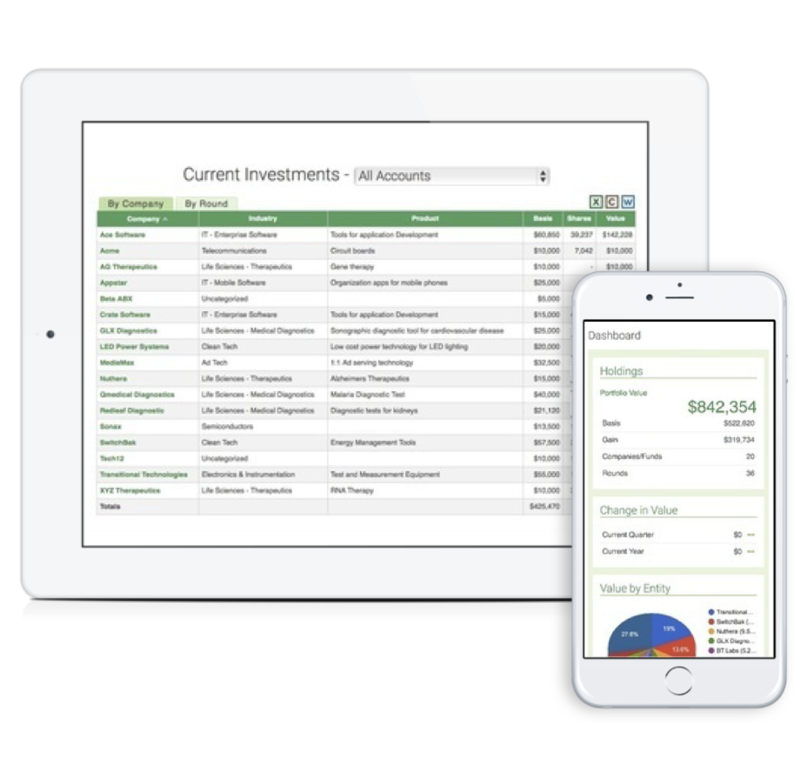 Seraf tracks and displays your investments in a simple, easy-to-use web dashboard, organizing all of your holdings in one place - even when you are on the go. 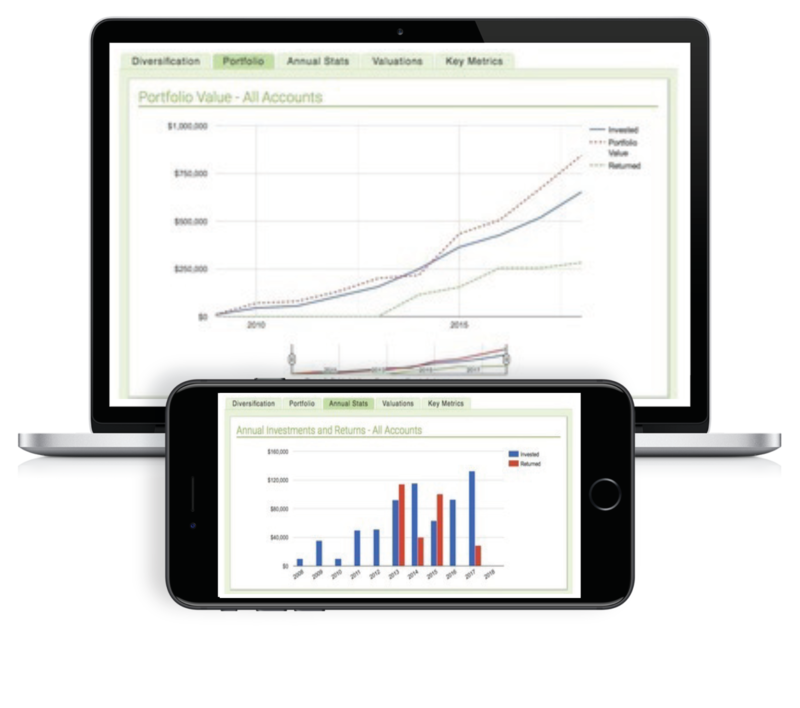 Seraf’s charts, tables and graphs provide a better understanding of your portfolio today, and where future opportunities may lie. Upload investment documents, organize them by company or fund, and store them in one secure, cloud-based system for easy access any time. 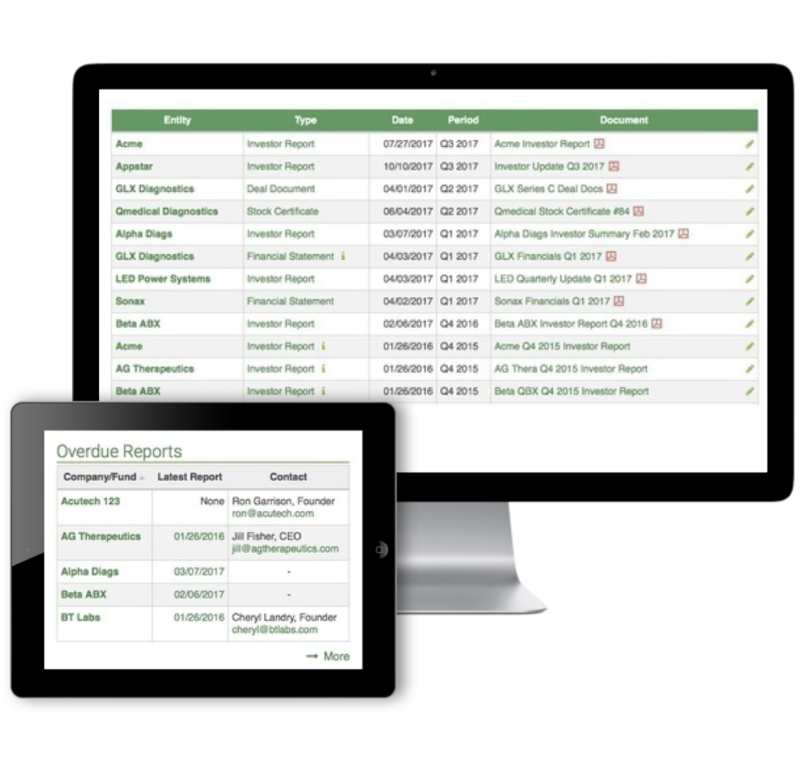 Share investment details and reports with family members, colleagues, accountants, estate planners and lawyers. 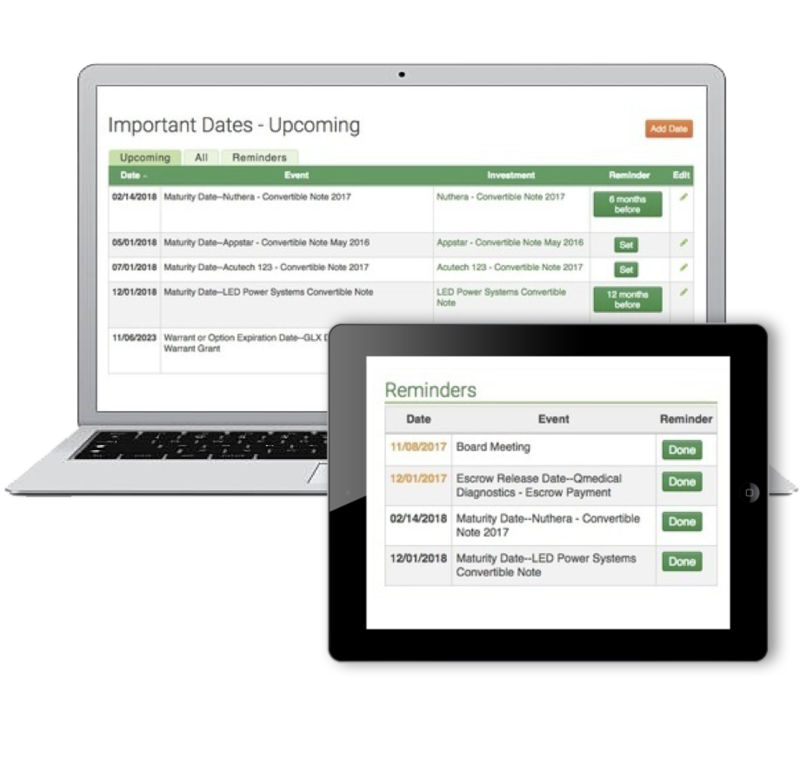 Seraf keeps track of important dates for you and provides reminders so that you never miss an opportunity to increase your returns. 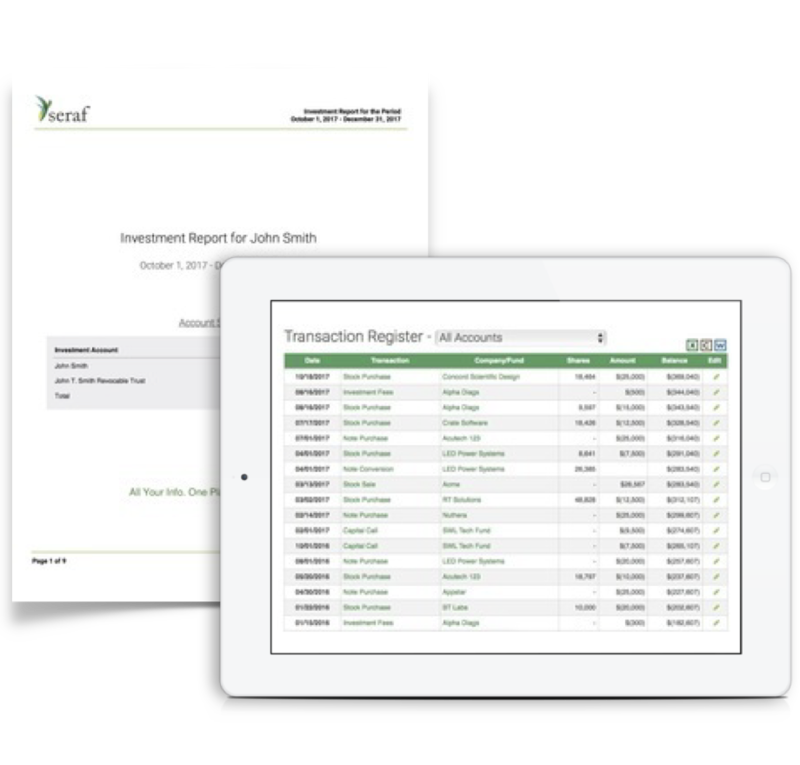 Discover why thousands of angel investors are already using Seraf's specialized tools for portfolio management, analysis, reporting and insight.